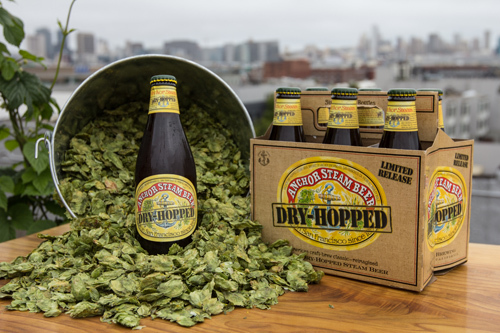 We are excited to announce the debut of Anchor Dry-Hopped Steam Beer™, a limited release inspired by Anchor Steam® Beer, the original California Common. San Francisco’s famous Anchor Steam® Beer is unique for its brewing process which has evolved over many decades and is like no other in the world. To give this classic beer a radically traditional twist, Brewmaster Scott Ungermann created Anchor Dry-Hopped Steam Beer. Made with its own special recipe, the brew is dry-hopped with a blend of new and traditional hops. The result weds the rich maltiness of Anchor Steam with an alluring fragrant hoppiness of our ales. California Commons are a unique American style of beer created by fermenting lager yeast at warmer temperatures similar to ales. This creates a hybrid between the two beer styles, though lager yeast is always used. 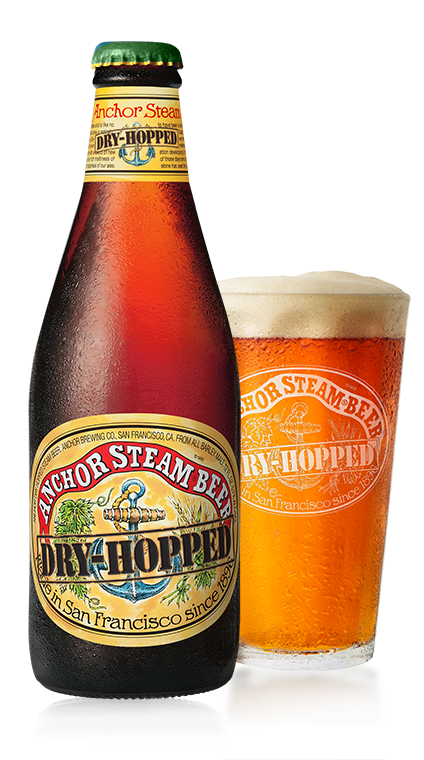 Anchor Steam® Beer (4.9% ABV) is the original California Common made in San Francisco since 1896. 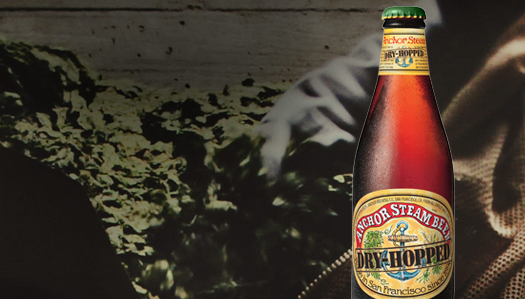 The original Anchor Steam Beer has rich caramel malt flavors balanced by an herbal hop spiciness. Anchor Dry-Hopped Steam Beer, on the other hand, has flavors of light malty sweetness with distinct aromas of citrus and stone fruit, and a lingering, bitter hop finish. Brilliant amber in color with a tight, tan head, Anchor Dry-Hopped Steam Beer is moderately full in body, smooth and velvety. Dry-hopping since 1975, Anchor was the first craft brewery in modern times to revive this century old brewing method in America. The same radically traditional techniques are still being used today. Anchor Dry-Hopped Steam Beer will be available nationally for a limited time starting in September in 12 oz. bottles and on draught in select bars, restaurants, and stores including the Anchor Brewing Taproom and Anchor Beer Garden at The Yard in San Francisco. Find a brew near you using the Anchor Beer Finder. For more information on Anchor Dry-Hopped Steam Beer and other Anchor beers, visit www.AnchorBrewing.com or follow @anchorbrewing on social media.